There’s a shop in Tsukiji that I had wanted to go for a long time. That’s not a seafood shop. 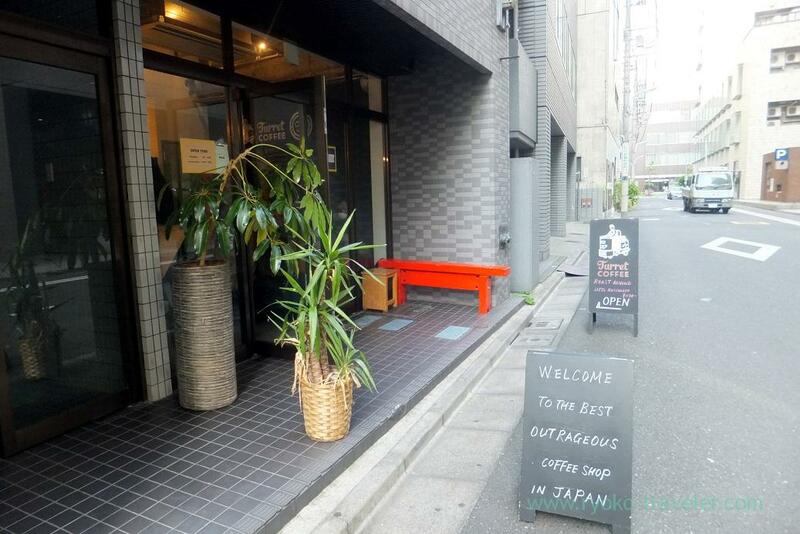 They serve simmered giblet bowl along Monzeki street. 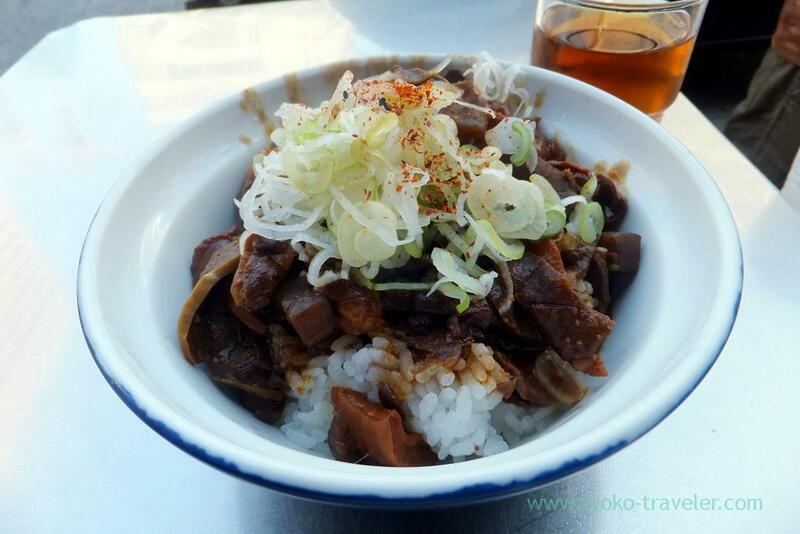 Most of people order simmered giblets bowl or simmered giblets. Most shops along Monzeki street are exposed to air, so it is very cold in Winter and the smell of simmered giblet make me feel bad under the brazing sun in muggy summer. So, there’s no choice but go there in Spring or Autumn. I didn’t have something in mind what I want to eat that day, so I thought I should go there and if I miss this chance, muggy summer will come before eating it. 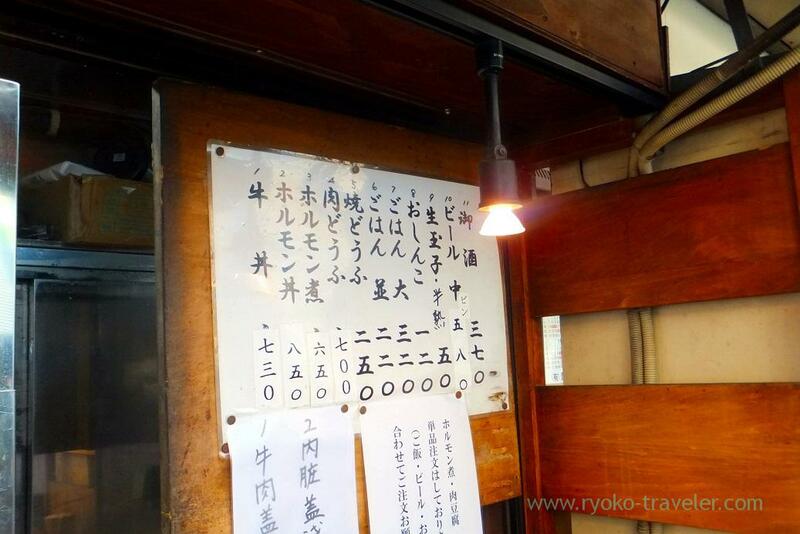 Of course, I ordered simmered giblet bowl (Horumon bowl, ホルモン丼, 850 yen). Simmered giblets on the rice. There’s no doubt that it is delicious ! There are only three seats along the counter table. There was a vacant seat, but I didn’t want to eat there because it is close to the fire and people gathering for order. So, I moved to the stand-up-eating area along the car road. They didn’t have much people that day, so I could eat slowly. I recommend you order pickled vegetables with it if you eat it. 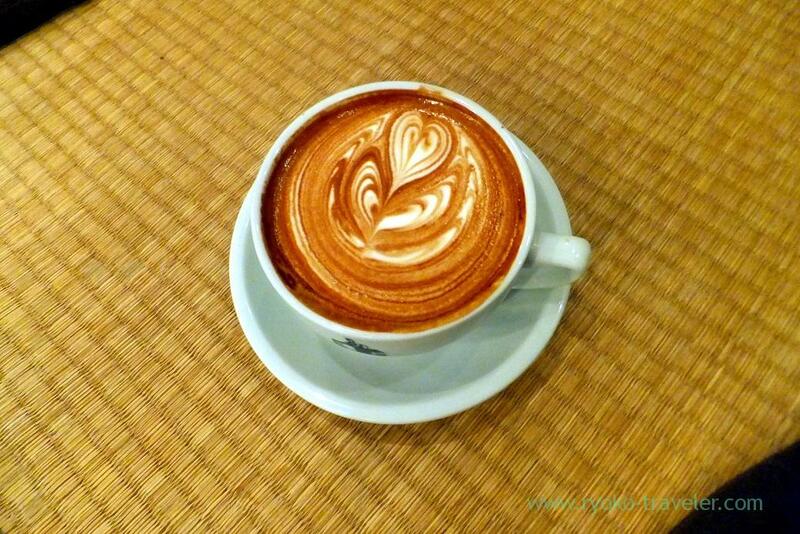 After that I went to Turret coffee after a long absence. 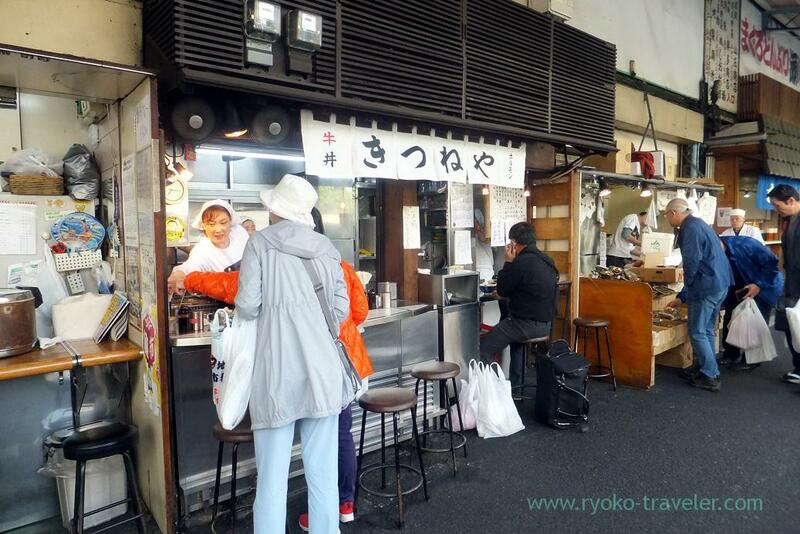 Kitsuneya is one of the most popular shop along Monzeki street as same as Ramen Inoue.